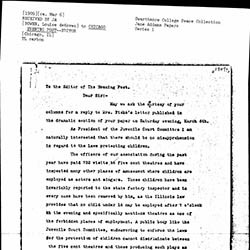 Robins writes Addams to apologize for the newspaper reports about the Women's Trade Union League pulling their meetings from Hull-House. 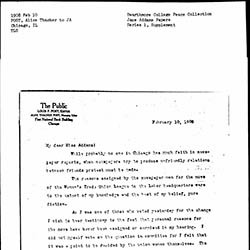 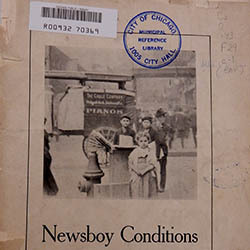 Post informs Addams that the newspaper coverage of the Women's Trade Union League's decision to move their meetings from Bowen Hall at Hull-House to the Chicago Federation of Labor Hall was inaccurate and designed to cause hard feelings. 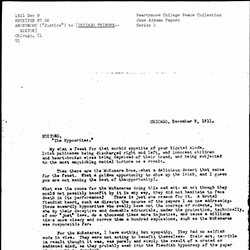 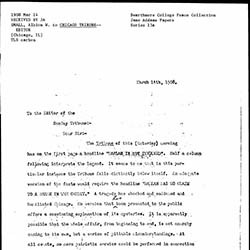 Small criticizes the Chicago Tribune's coverage of the Averbuch Incident, specifically discussing meetings between Jane Addams and others in John Maynard Harlan's office. 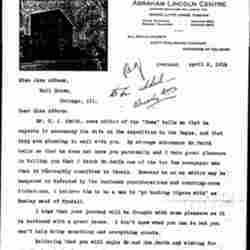 Briggs thanks Addams for her Charities and the Commons article and suggest that is deserves wider circulation. 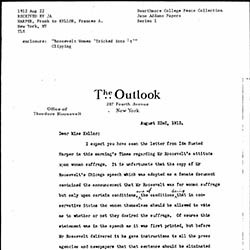 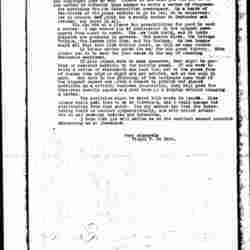 Bowen responds to Minnie Fiske's letter promoting child labor in the theater. 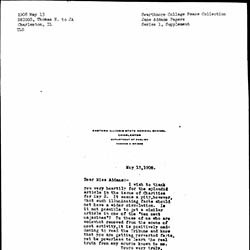 Simons asks Addams to send him a photograph of herself to run alongside some of her writings that he will be publishing in his new socialist paper. 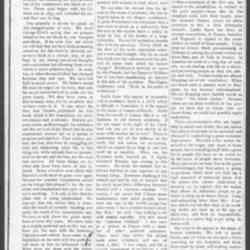 Addams writes Smith about newspaper reviews of her book, a trip to the dentist, and visits with family. 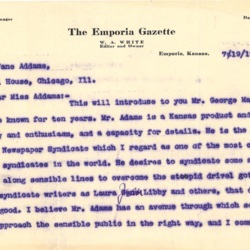 White introduces George Matthew Adams to Addams, who hopes to publish a series of columns for women for his newspaper service. 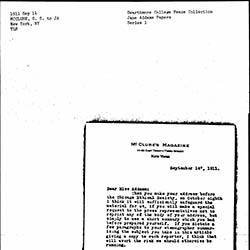 McNitt asks Davis to try to persuade Addams to write a series of articles on the Progressive Party's platforms. 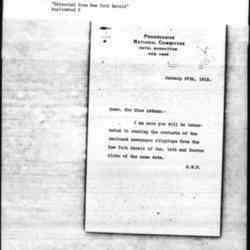 Spence congratulates Addams for her nominating speech at the Progressive Party Convention and sends his wishes that she is now resting in Maine. 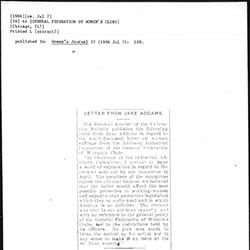 Dye congratulates Addams on promoting the ideas of social work and suggests that social workers should create their own newspapers to spread the word of their deeds. 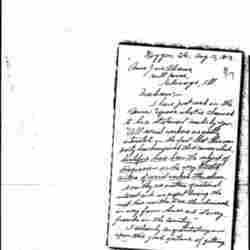 Scott thanks Addams for her stand on behalf of African Americans at the Progressive Party Convention. 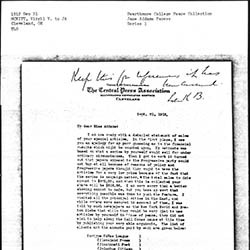 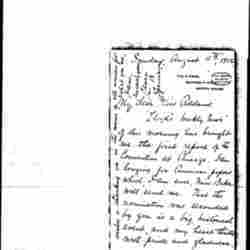 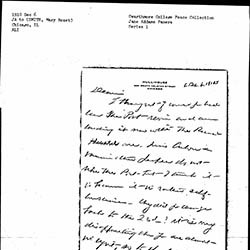 Harper writes Kellor to clarifies Theodore Roosevelt's position on woman suffrage. 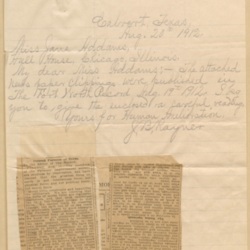 McNitt provides Addams with a list of newspapers that purchased her articles about the Progressive Party and the income received. 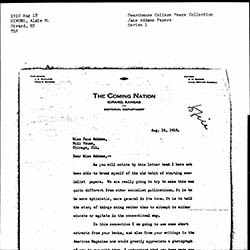 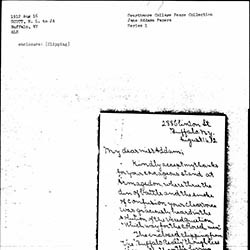 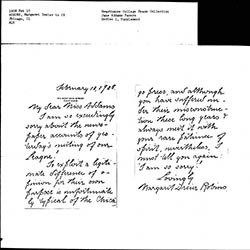 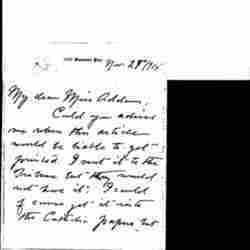 Harper writes Addams to explain something erroneous attributed to her in the newspaper, which were critical of Addams. 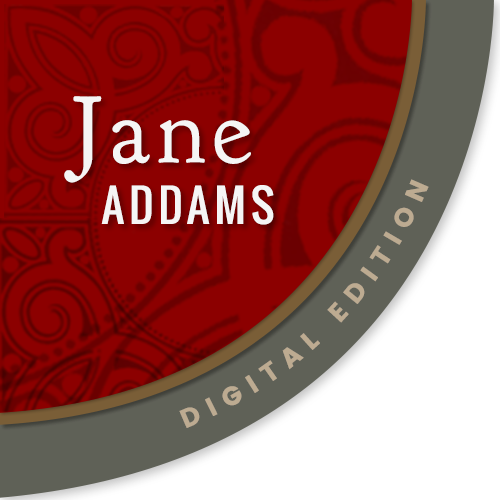 She also criticizes Addams for seconding Roosevelt. 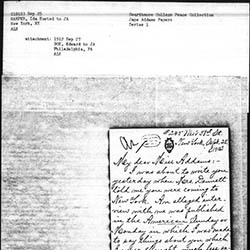 Pinchot sends Addams some newspapers articles he thinks she will find interesting. 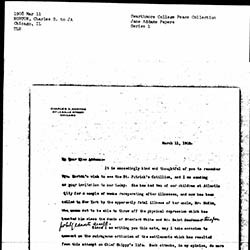 Jones tells Addams about Smith, who is accompanying his wife on the trip to The Hague. 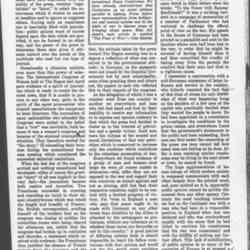 Gallery asks Addams if she knows of a place where her article could be published, as she wants to reach a wider audience.